Vocalists Earn TAPPS 4A State Championship! 2019 House Quidditch Cup Champion Declared! Is the school affiliated with a denomination? 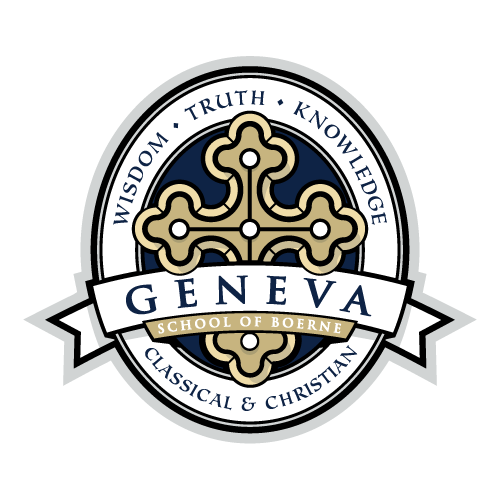 No, Geneva School of Boerne is an independent and interdenominational Christian school. We welcome families from many denominations and traditions of the Christian faith who desire to partner with us in teaching our children from a Christian worldview and in evaluating everything we do against the standard of God’s Word, the Holy Bible. How does a classical approach differ from other approaches to education? There is much to be said about Classical education and we encourage those who are interested to read An Introduction to Classical Education – A Guide for Parents by Dr. Chris Perrin. The booklet is available for free in our admissions office. In the booklet, Perrin states, Classical education is a long tradition of asking questions and digging up answers, consulting others, then asking, seeking and finding more. It is joining, as one writer puts it, the Great Conversation. That means reading great books (the classics), studying them, mining them, talking to others about the influential ideas they contain. Whatever else classical education is, it is an ongoing series of questions and answers. For students to do this well, they need training in the disciplines of grammar, logic and rhetoric. 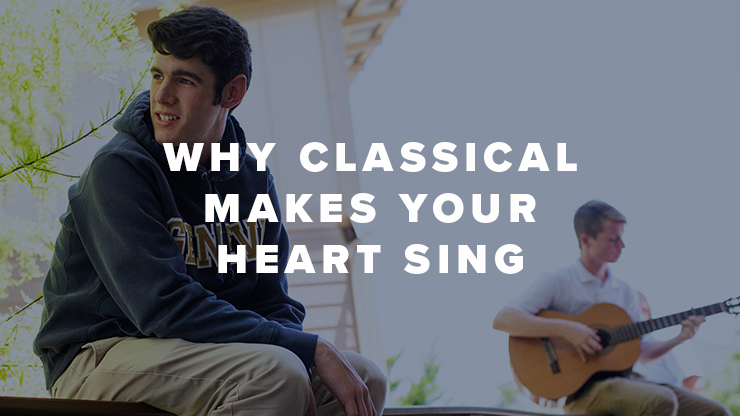 Other distinctives of our classical approach include the study of Latin beginning in third grade, a chronological study of history as well as a core of humanities courses in high school. 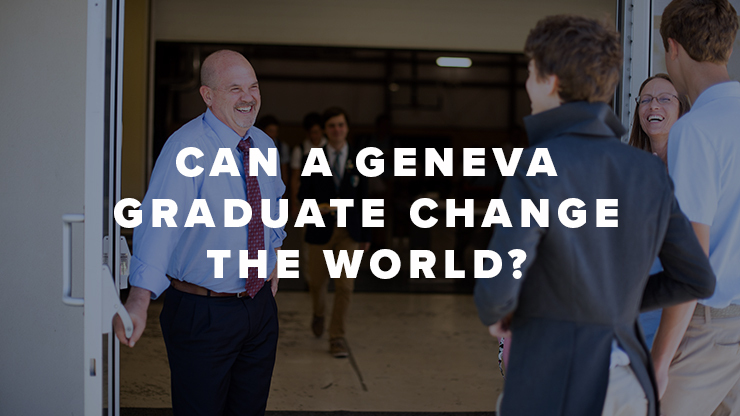 The capstone of Geneva’s classical education is our Senior Thesis program. The presentations take place each May and follow a calendar year of research, writing and memorization. Each presentation is comprised of a 20 minute claim on a topic of the student’s choosing followed by a 20 minute defense before a panel of individuals conversant on the topic. The school’s educational program is designed to move our students toward our Portrait of a Graduate. Yes.  Geneva is accredited by AdvancEd, formed in 2006 through the merger of the school accrediting arms of the North Central Association of Colleges and Schools and the Southern Association of Colleges and Schools. Does Geneva School offer an athletics program? Yes, we have a full program of athletic offerings for students in seventh grade and above: volleyball, cross country, football, basketball, swimming, soccer, baseball, softball, track & field, tennis, golf and cheerleading. For students in Kinder through sixth grade, we offer our own Geneva Youth Sports League. Geneva varsity athletes compete in the Texas Association of Private and Parochial Schools (TAPPS), an organization that serves over 200 private schools in Texas representing more than 40,000 students. Since beginning varsity level play in 2008, Geneva athletes have celebrated 25 state championships in athletics. The school has won the prestigious Henderson Cup, awarded by TAPPS to the over-all champion in each classification, eight times in the last nine years. What arts classes do you have? Students in Grammar School (grades K-5) take weekly classes in visual art and music as well as enjoy weekly docent-led lessons focused on over fifty great art and musical works of Western Civilization. In Logic School (grades 6-8), students can choose their arts elective: visual art, band, classical guitar, theatre, orchestra and voice. In Rhetoric School (grades 9-12), the offerings are increased – visual art, band, guitar, orchestra, theatre, theatre tech, vocal music/music theatre, jazz ensemble, praise ensemble, theatre competition, music theory and AP music theory. What do you look for in hiring your teachers? 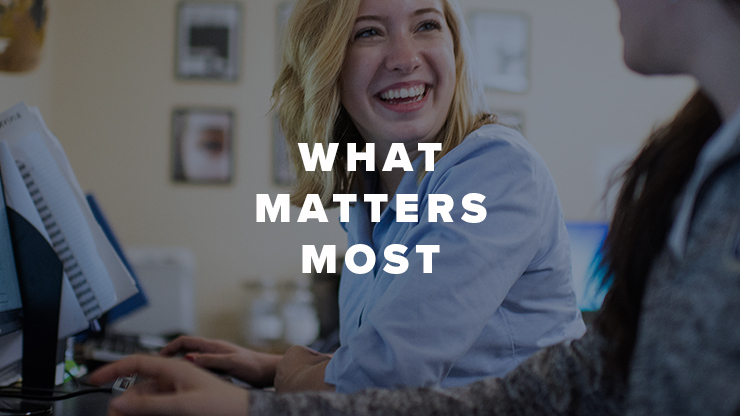 We seek men and women who are passionately dedicated to Christian education and desire to use their expertise in their subject area to challenge students to think deeply, ask great questions and search for answers. We seek men and women who aspire to live according to our Portrait of a Geneva Teacher.